I don’t often wear jewellery as I am always worried about the boys breaking it when they are hanging off me trying to be a bat or some other crazy stunt. But just occasionally my husband and I get dressed up and accessorise for an evening out. So it’s great to find a piece of jewellery that doesn’t just look gorgeous, but also has sentimental value. 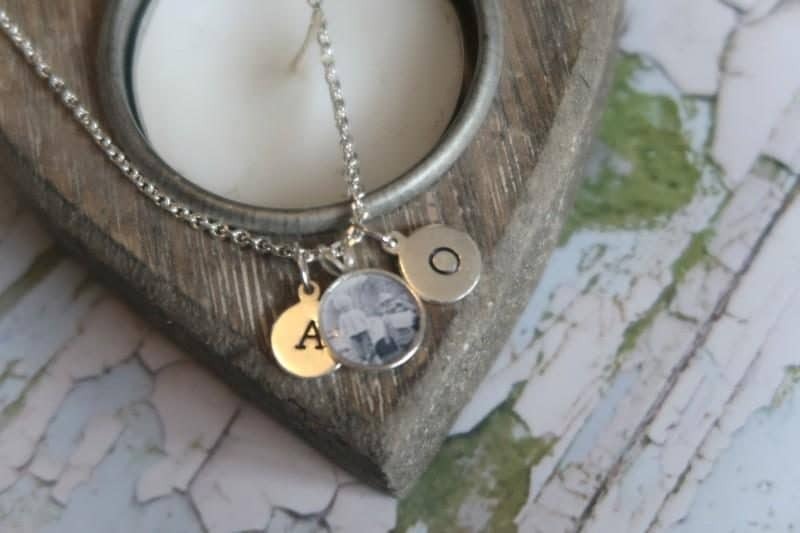 Photogem jewellery is just that, a stunning piece that features a tiny photo of your loved ones, so you can always keep them near. Photogem sent me a beautiful sterling silver necklace with a 10mm teeny photogem. I chose a photo of the boys at their Easter egg hunt this year, which was made into the tiny gem. Set beside the photogem are two letters, one for each of my boys. It’s such a simple idea, but it looks beautiful and the black and white photogem will be perfect with any outfit. I guess it’s the modern equivalent of a locket, only you can actually see the photo at all times. It’s the perfect gift for any parent who wants to keep their loved ones close, but still wear a stunning item of jewellery. Photogem offer many other beautiful products including bracelets, pendants, earrings and wine glass charms. All can be personalised with your own photograph, in either colour or black and white. 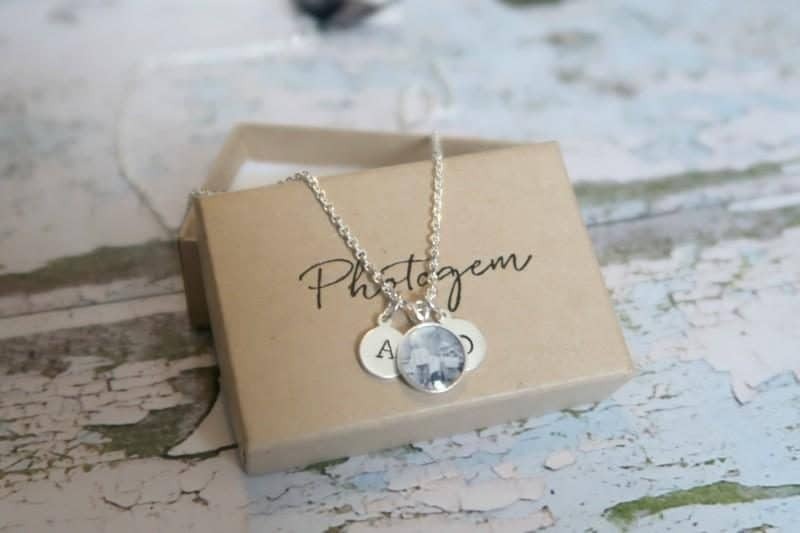 We are teaming up with Photogem to offer one necklace to my followers, with your own teeny tiny photogem and letter. This would be brilliant for a Christmas gift or even a wedding necklace, I’m sure you have plenty of ideas of who to give such a beautiful item to. Pop over to Monkey and Mouse to enter for your chance to win your very own Photogem!